June 11 , by Mardi Robyn. Katie Jasiewicz shares on her blog Sew Woodsy how easy it is to make your own epoxy clay flower earrings with just a few simple steps. The tutorial includes detailed instructions and beautiful photographs. 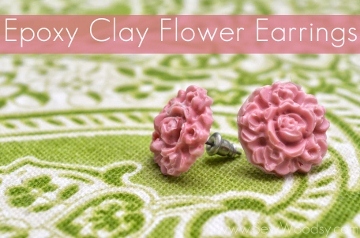 Learn how to make these Epoxy Clay Flower Earrings.